We'll be working with original vocal pieces, mostly Lassus's Aphorisms of the 1604 Magnum Opus Musicum, to build up a consort sound, consort phrasing, consort intonation. Playing a number of recorders together always brings problems but there are ways to solve them. This weekend aims to do just that. The first step is taken by using our large matched set of instuments by master builder Klaus Scheele. 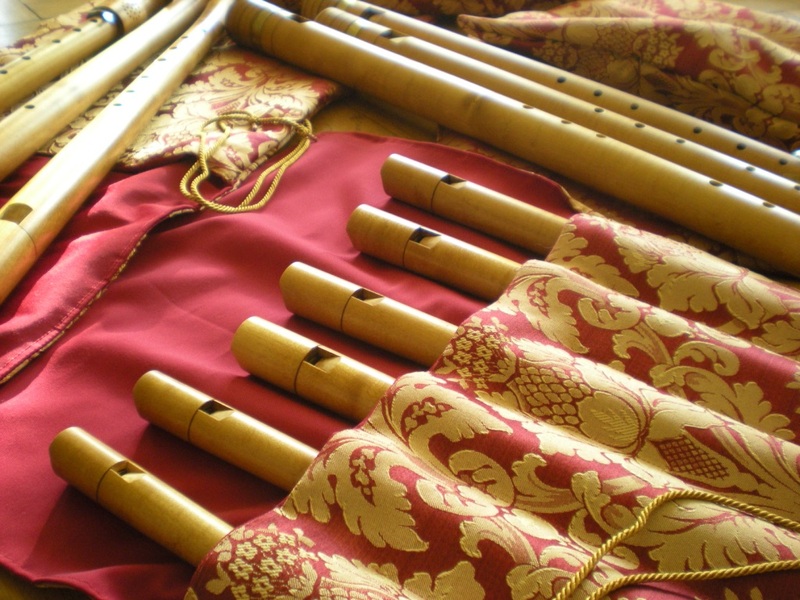 The class is open to all recorder players who want to play in consort and who are able to play larger size instruments. The most important size it the tenor recorder. A typical setting would be g'-c'-c'-c'-f but with our large consort, we can also take it down an octave to play at 8' pitch.